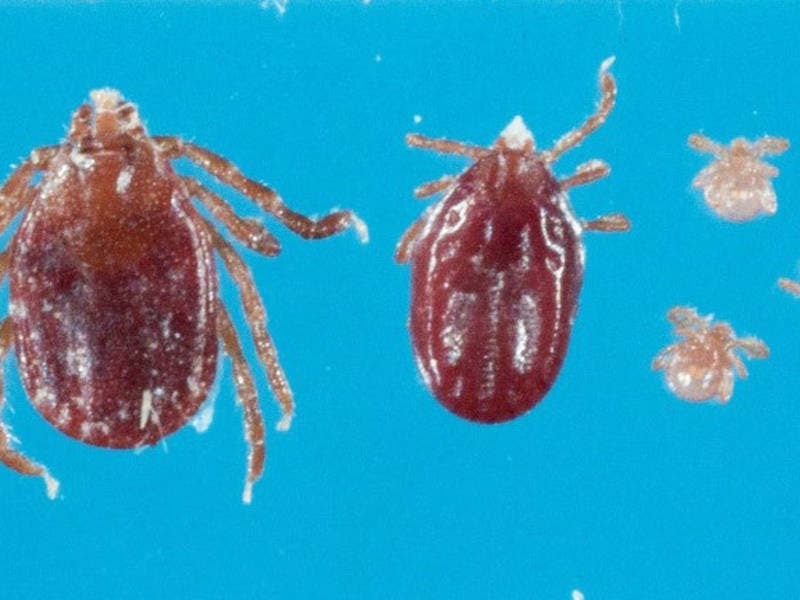 Agriculture experts from UConn have issued a warning to outdoors enthusiasts and those with animals about a certain tick. STORRS, CT — Agriculture experts from the University of Connecticut issued a warning to outdoors enthusuasts and those with animals on Thursday about a tick known as a heavy disease carrier. The longhorned tick is native to Asia and was reported in the continental United States in November 2017, when it was first discovered on a sheep farm in Hunterdon County in New Jersey, UConn Extension officials said. The tick has already been identified in western Connecticut, they added. While the Asian longhorned ticks discovered in the United States has not been found to carry any pathogen causing human diseases, in Asia the longhorned tick has been associated with tick-borne encephalitis, and they are apparently capable of carrying Anaplasma phagocytophilum, Ehrlichia chaffeensis, Babesia species, and Powassan virus all of which can affect humans, Uconn Extension officials said. The tick may also represent “a problem” for farm animals, since they can transmit a pathogen that causes theileriosis, a disease of cattle and sheep, as well as the agents that cause babesisosis in animals, according to the warning. An interesting feature of the tick is that it can reproduce by parthogenesis (no male needed), so the number of ticks on one animal can be very high, UConn Extension officials said. UConn’s Connecticut Veterinary Medical Diagnostic Laboratory, part of the Department of Pathobiology in the College of Agriculture, Health and Natural Resources, is has been on the “front line of tick testing,” according to the warning. Send ticks together with a small square of moist paper towel, in sealed zip lock bags. The submission form, pricing and the “Do’s and Don’ts of tick testing” can be found on our website at http://s.uconn.edu/468. For more information, read an article from UConn Magazine that includes tips to prevent tick bites, or watch the UConn Science in Seconds video. Residents can also contact the Connecticut Veterinary Medical Diagnostic Laboratory at cvmdl@uconn.edu or 860-486-3738 or visit the tick testing page at http://cvmdl.uconn.edu/service/tick.php.